For the latest news and events connect with Eynesbury via Social Media. Like us on Facebook, follow us on Instagram or find us on Twitter. The best way for the current Eynesbury community members to keep up to date is through joining the Eynesbury staff, parents and friends closed Facebook group. We encourage Old Scholars to connect with each other, and with us, through this group. 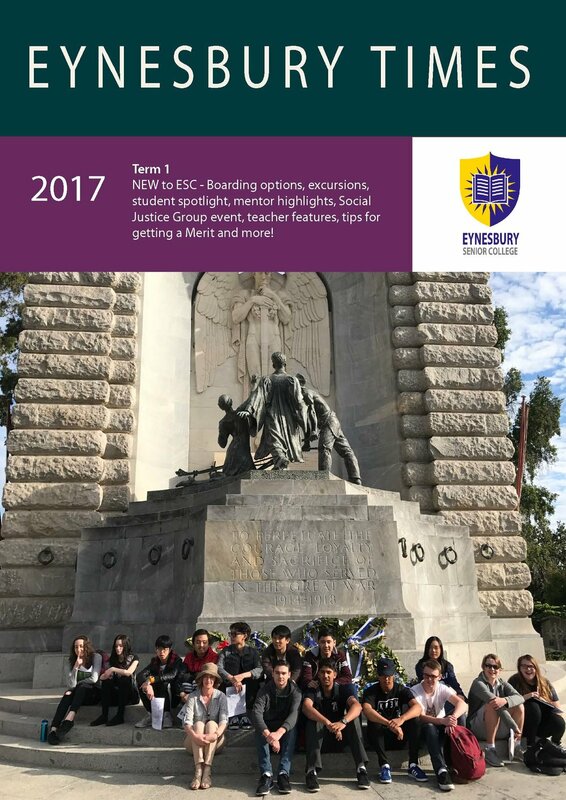 The Eynesbury Times Magazine features a wide variety of articles, photos and a recap of events during the Term. 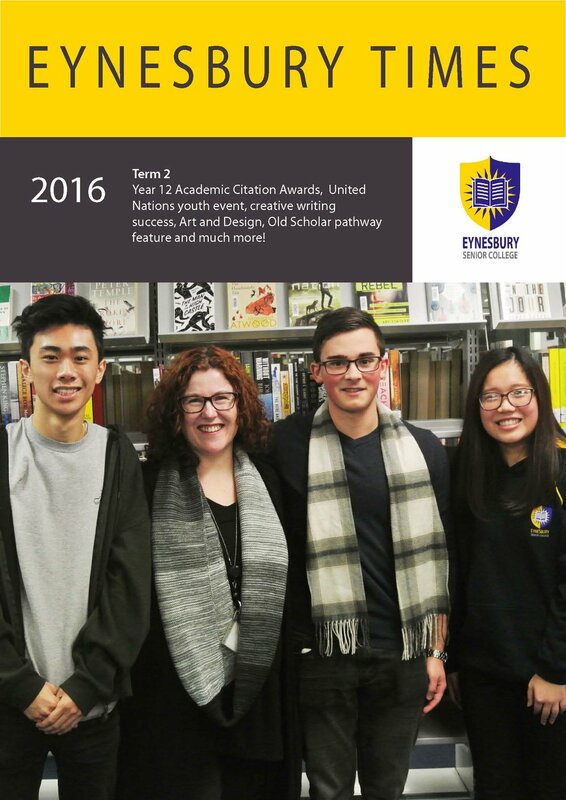 You can read editions of Eynesbury Times Magazine by clicking on the front cover images below. Have a story to submit? 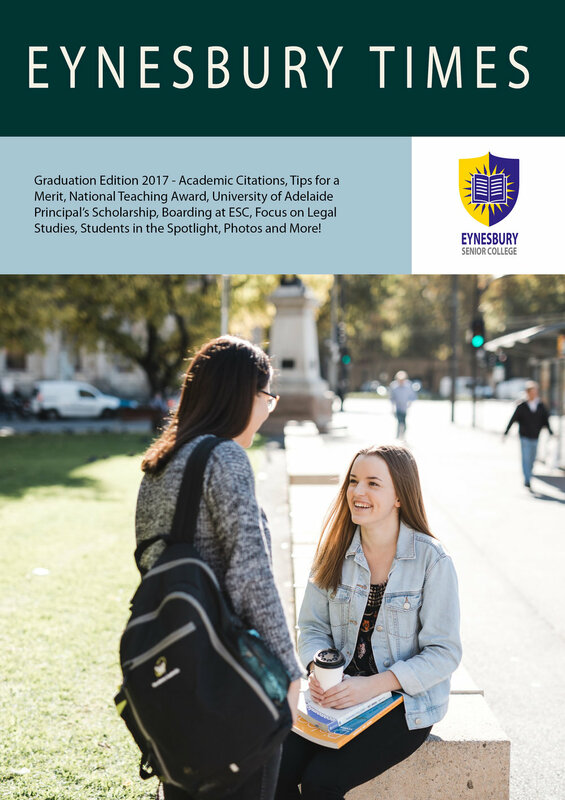 Contact our Marketing and Enrolments Manager, Sarah Hegarty on shegarty@eynesbury.sa.edu.au or 8216 9152. Sign up with your email address to be the first to recieve a copy of the magazine each term. See below for a snapshot of what has been happening at the College in the last few weeks. Click on the photos to enlarge the image and read the caption.